Do you want to master grammar in order to speak and write in English without errors? 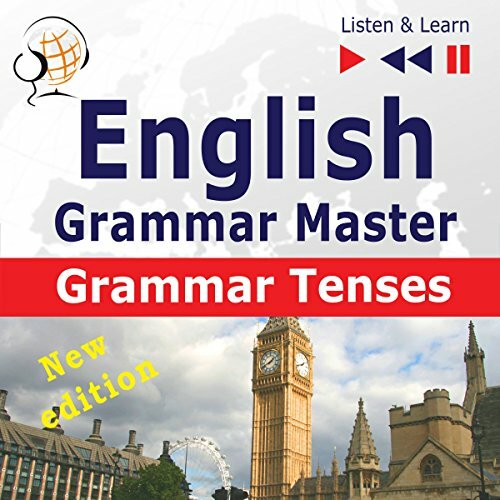 Learn with the "English - Grammar Master: Grammar Tenses" course, which gradually teaches you all the most important tenses and grammatical forms that are necessary for error-free communication in the English language. Why is it worth choosing the "English Grammar Master: Grammar Tenses - New Edition" course? In order to improve your style of expression, it is not enough to know the rules of grammar. It is also important to understand the differences in the uses of tenses and to know in which situations a given form should be used. Then, it is enough simply to apply this knowledge in practice and this is precisely what you will find in this course. This is easy and effective learning for everyone! independent creation of sentences and questions in accordance with the teacher's instructions. The E-book (PDF file) contains the full text of the course: dialogues, test exercises with answers and, in addition, an "Appendix" containing translations of all the grammatical rules into French, German, Polish, Spanish, Russian, Japanese and Chinese.